There is nothing like the roar of the crowd around you to get your heart racing! The Durban ICC Arena offers a multi-purpose indoor venue of 3900m², ideal for a multitude of indoor sporting codes. 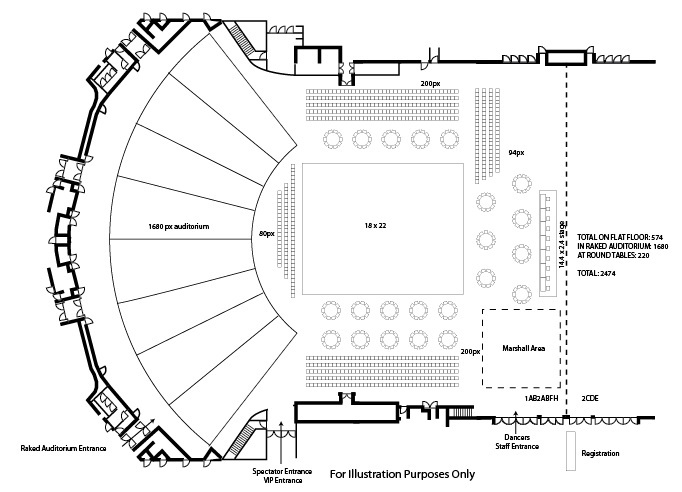 Its unique design allows for sporting events in an oval with direct access from all points into the Arena and this is ideal for Indoor soccer, Basketball, Wrestling, Boxing, Volleyball and even some Equestrian events. The arena is also ideal for large Ice shows and figure skating as the retractable seating can be brought right to edge of the ice rink for a fantastic spectator experience. Designed with Sports Events in mind, the venue features four Media booths, medical suites, dressing rooms, three team change rooms and an Operations Centre. 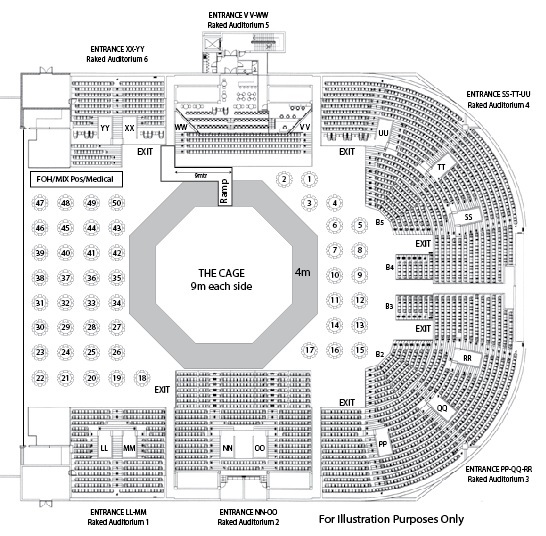 The Arena foyer offers two levels and ample space for merchandising areas and public catering. The Durban ICC Arena’s technical specifications are on a par with the best in the world, and include intelligent lighting, trussing, curtaining and sound system which can be hired in-house. The venue offers full technical capacity for live broadcasts as well as house lighting suitable for TV production filming. A fully integrated safety system and four backup power generators ensure that the excitement of your event will be uninterrupted. The backup generators are capable of running the entire lighting and sound rig at the Durban ICC in case of power failure. 24 screens in the main foyer can be used for advertising, directional signage, live TV broadcast and live to screen feed from the main venue. Our specialised Event Coordinators have years of event experience and will be happy to assist in the planning and co-ordination of your event to ensure its success from start to finish. Please feel free to contact us so that we can start planning your event together. Fierce competition and the line-up of international adjudicators make this competition one of the most prestigious on the ballroom dancing calendar. During the event, hundreds of couples, both professional and amateur, danced their way through Ballroom and Latin routines in a bid to win top honours. Complementing the competition element were international showdance champions demonstrating their art.